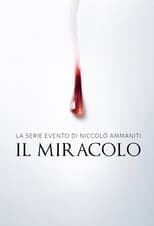 List of the latest Italian TV series in 2019 on tv and the best Italian TV series of 2018 & the 2010's. Top Italian TV series to watch on Netflix, Hulu, Amazon Prime & other Streaming services, out on DVD/Blu-ray or on tv right now. 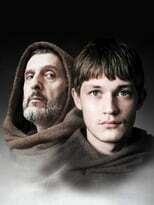 Umberto Eco's famous mystery novel gets a TV Adaptation. It's not for the first time that is brought to tv or cinema, but this looks very promising. In The Name of The Rose is about a detective who gets called in to solve a series of murders that have taken place at an abbey. The legendary filmmaker Paolo Sorrentino (Grande Belezza) is coming back with the follow-up series to The Young Pope. The New Pope is once again starring Jude Law as a young and ambitious pope in the conspiratory city of The Vatican. 2018, 2017 & the 2010's best rated Italian TV series out on DVD, Bluray or streaming on VOD (Netflix, Amazon Prime & Hulu). The paths of nine people cross when they are brought together by weird, violent events taking place in a little town. L'amica geniale aka My Brilliant Friend is a new Italian drama series on Netflix. It is based on the books by Elena Ferrante. 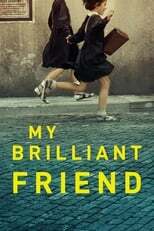 It's about a woman who recounts the lifelong friendship and conflicts with a girl she met at primary school in 1950's Naples. The famous series about a power struggle within an Italian maffia organisation. A criminal named Lebanese has one dream and one dream only: conquer the underworld of Rome. The crazy misadventures of a crew filming a low budget television series. A historical drama about the love between a poor woman and a rich man, which is being threatened by a jealous rival. There probably won’t be an Italian series that gained as momentum as Gomorra (2015) in the near future, but Italians know their drama. Here you’ll find a list with the best shows from Italy.